The archaeology work has now been completed with the pedestrian bridge now removed and the advertising screens and walls removed from the site. 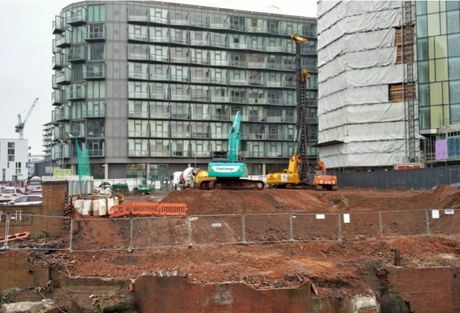 The piling work is also 80% completed with the remaining piling work due to be finalised in this month. Following the piling, work will then begin on the capping beam. With the delays stated in the June construction update, The Residence is now expected to be completed in Q4 2019. The Residence is set to become a 33-storey development comprising of 300 luxurious one, two and three-bedroom apartments, each designed to a high specification. The Residence will also feature many onsite facilities from a concierge and restaurant to a modern gym and golf simulator, which sets this development apart from any other. If you would like more information on The Residence, call +44 (0) 161 337 3890 or email enquiries@hopwoodhouse.com to speak to a member of our consultants’ team.